There are few things that can affect how a room feels more than a window. Windows let in light, allow fresh air to waft in, and can make a room more expansive and welcoming. We have a window that does hardly any of those things. You couldn't tell by looking at it but this is a fairly useless window - that we made worse! 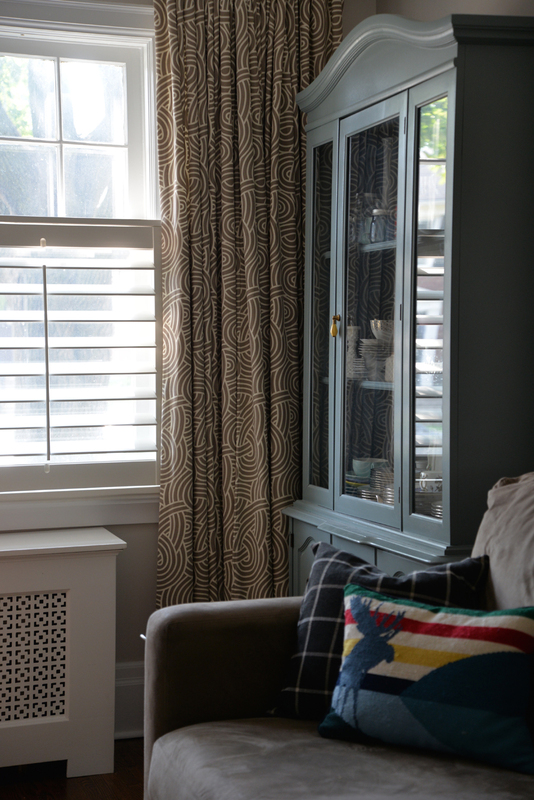 One of the first changes we made when we moved in was to add plantation shutters to the front window. 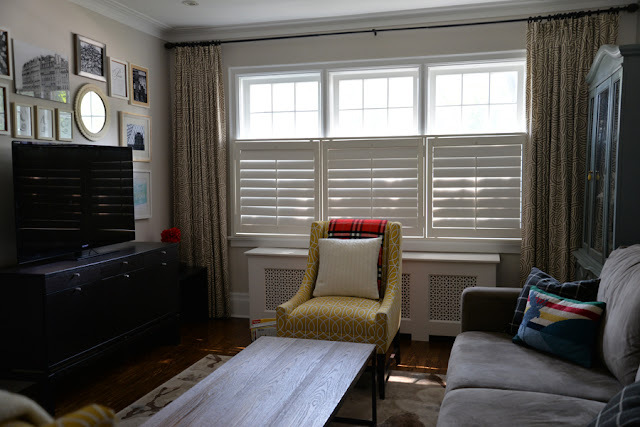 We wanted the room to have privacy and we loved the look of shutters. But after living with these shutters for almost a decade, they are one of my biggest design regrets - they cut out SO. MUCH. LIGHT. 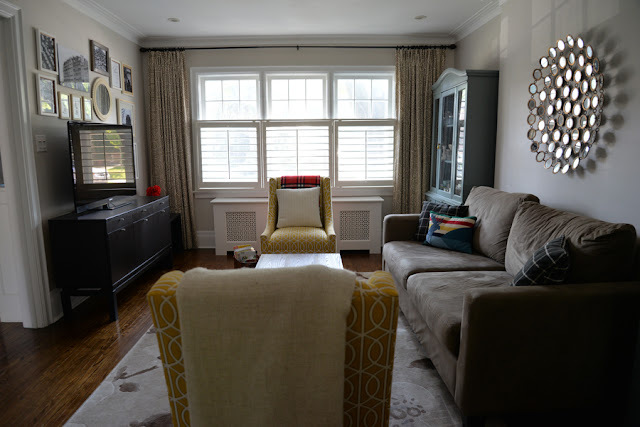 Even though we can tilt the louvers and swing the shutters open to let in more light, we rarely do that and with a leafy maple tree out front, our living room feels dark most of the time. Adding shutters to the only window in this room was not one of our smartest ideas! The view from the front isn't much better. 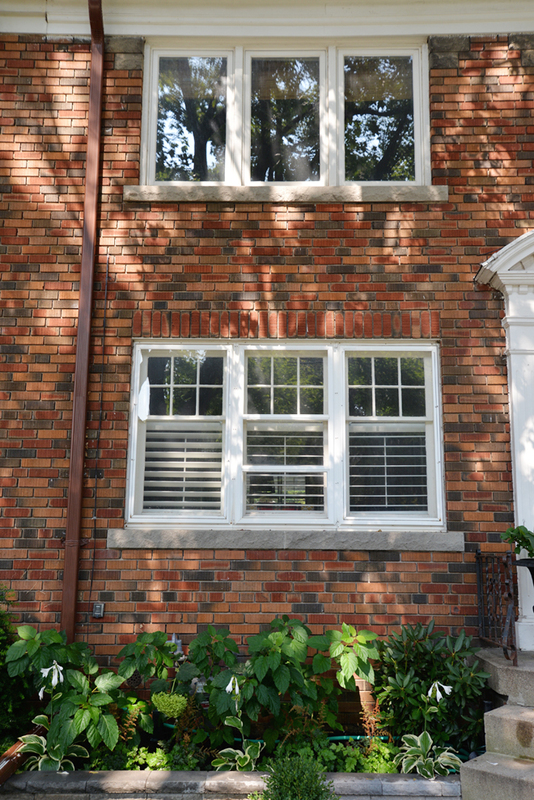 The grille pattern, paired with the shutters and the storm window make this window seem chaotic when compared to the very plain windows on the upper level. Did I mention that the storm windows and the interior window are painted shut, so we can't actually open these windows? It gets worse. Our back window on the main floor is a large single pane that doesn't open, plus through a few unfortunate accidents, the screen doors for both the front and back doors were broken and we haven't replaced them so we keep our doors mostly shut. All that to say: except for the tiny window over our kitchen sink, we don't get any fresh air flowing on our main floor. Oh - and our 60 year old house doesn't have central air conditioning either. I know! You're getting sweaty just thinking about it, right? Needless to say, replacing this window has been on our To Do list for a very long time so when Pella Windows and Doors reached out recently to collaborate, this seemed like a perfect fit. As we've just finished redoing the front walkway, the new window will enhance the exterior and will get us the fresh air we've been craving. I must admit, one of the reasons we hesitated on changing the window for so long was because the window selection process can be daunting. Have you ever walked into a window showroom? There are so many options. I know nothing about windows. Is wood better than fibreglass? Should we get windows with blinds or shades? Which windows are most energy-efficient? Meredith from Pella answered all of our questions with ease at our in-home consultation. I actually felt much more comfortable meeting at our house than meeting in the store. We were able to talk about conditions specific to our project, like matching existing trim work, and we got her expert opinion on things like exterior colour and grille options, taking into consideration our style and that of neighbouring houses. I highly recommend the in-home visit! She brought along this (adorable) mini model of their Designer Series window which allowed us to touch and see all the features that this window offers. 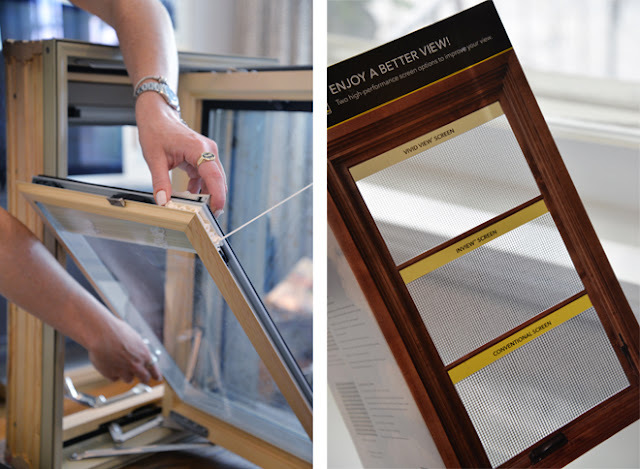 Replacing your windows can be an investment so its worth it to take the time and learn about all of the differences in materials, construction, and features. One of the features I liked most was the between-the-glass blinds and shades. 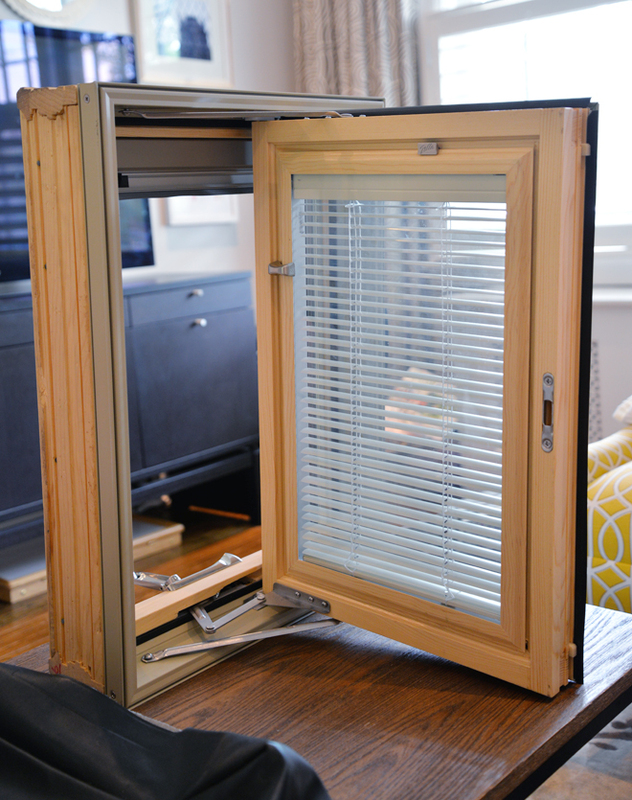 This keeps the blinds free from dust and damage but they're easy to snap out if you ever need to change them. The windows also have many different options - from choice of hardware, interior and exterior colours, to screen options, allowing you to make the most of your view. I also learned about Pella's Insynctive Technology. Do you have any "smart" features in your home? I think smart features like temperature monitoring, lighting control, and security monitoring are very convenient to have and will only grow in popularity. In this case, Insynctive Technology allows you to know at a glance if your windows are shut and your doors are locked. Paired with the Designer Series windows, you can operate your blinds and shades with a remote control. 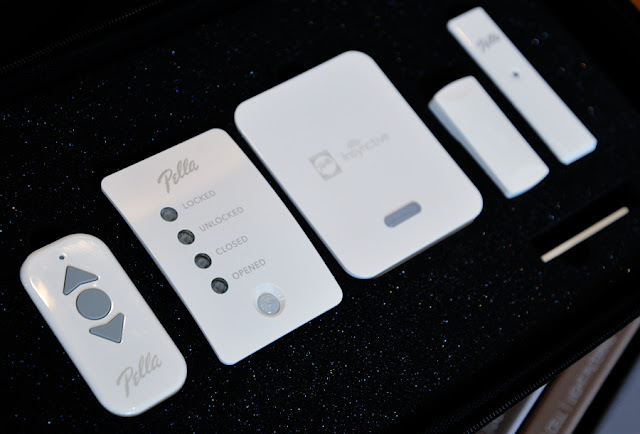 You can even connect to your existing compatible home automation system and monitor and control your home via smart device. It's security, comfort and convenience all in one. This is so useful because I am always the person running back to the house to see if we locked the back door. It was a lot of information to absorb (we spent almost two hours talking about window options!) but I walked away more educated about what goes into a quality window. I'm excited to say that Pella will be onsite in the next few days to replace our window. I'll be sharing sneak peeks on Instagram so follow along if you want to see the giant gaping hole at the front of our house.